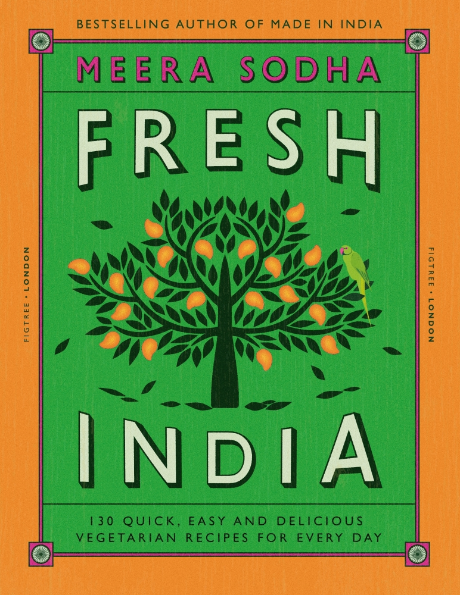 What strikes you first about Meera Sodha’s new cookbook FRESH INDIA, is the vibrant colour: orange and green for the cover and a bright pink inlay, intertwined with bold Indian prints and photos of mouth-watering cuisine. 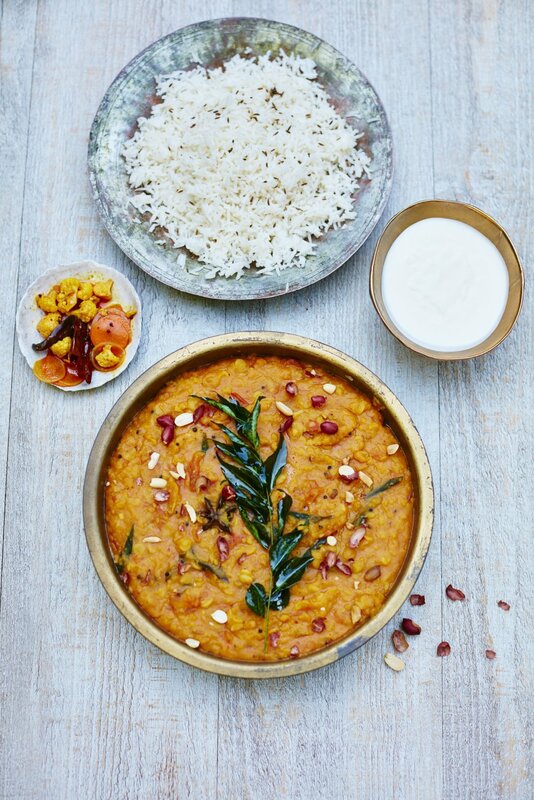 Following her successful debut book MADE IN INDIA, Meera’s second book, published by Fig Tree London (£20), is a collection of 130 ‘quick, easy and delicious vegetarian recipes for every day’. It includes sections on everything from Starters & Snacks; Rice; Pulses; Squashes and Pickles & Chutneys to a great chapter dedicated to the humble Aubergine. Interspersed within the food groupings are handy chapters on Menu Ideas and Presentation Skills - invaluable for making your homemade curry look appetising for Instagram! 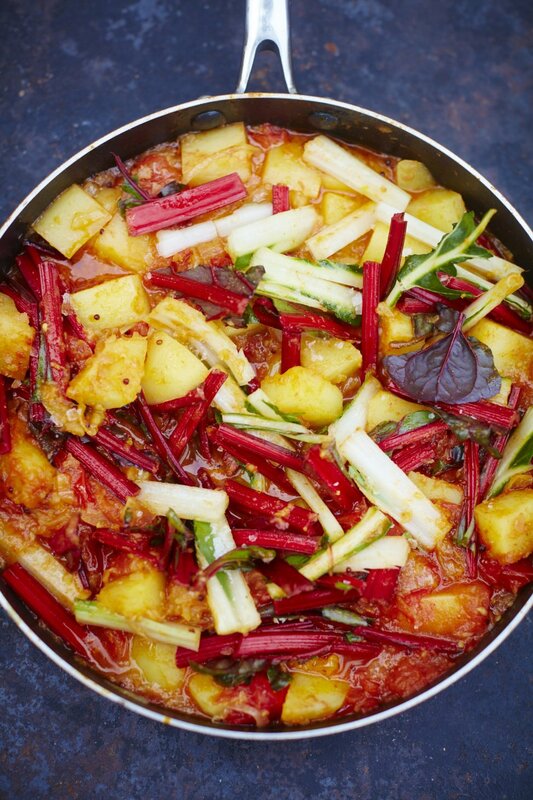 Meera talks candidly about her life growing up as a Gujarati in Lincolnshire, of family recipes and traditions and above all a life filled with delicious fresh vegetables. Her recipes use herbs and spices to enhance the flavours in a huge variety of vegetables. 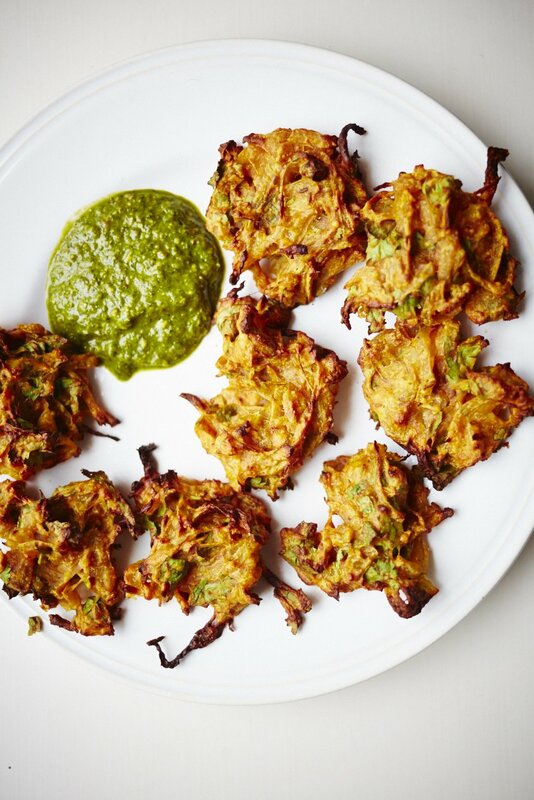 Using different blends of traditional Indian spices such as black mustard seeds, chilli, cumin, coriander and turmeric in her Rainbow Chard Saag Aloo and Baked Onion Bhajis, and adding in the 'subtle jabs' of star anise, lemon and curry leaves in her nostalgic Gujarati Dal. 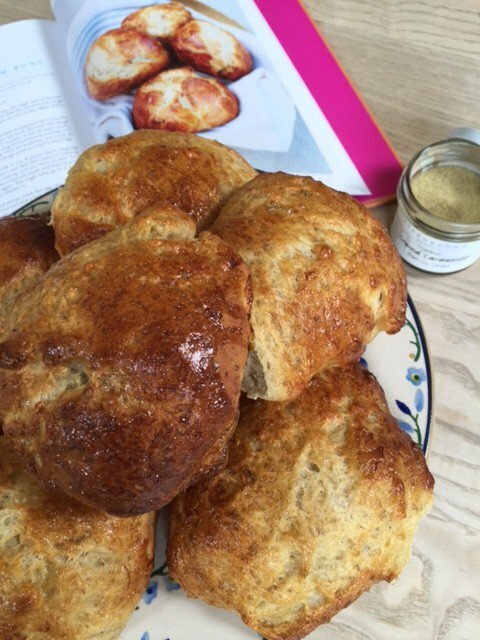 All of the recipes looked really inviting but the baking ones are always the most appealing, especially now the children are off for the school holidays. We decided to try the Banana & Cardamom Buns for a weekend brunch and they did not disappoint. Not overly sweet, but with a lovely subtle hint of cardamom, these were loved by adults and children alike. They were delicious eaten fresh from the oven with a cup of coffee, but also in a more English way halved and buttered like a scone or with, dare I say it...Nutella! We were a little free with the quantities, having added 2 whole bananas, but some extra flour and a little extra yeast made for a sticky but manageable dough which rose well during the proving stage. You could have ground your own cardamom pods but we used the handy Steenbergs organic ground cardamom. Our buns definitely didn't look as round and pretty as the picture in the book but the egg wash gave them a lovely crust and the soft bready texture was delicious.